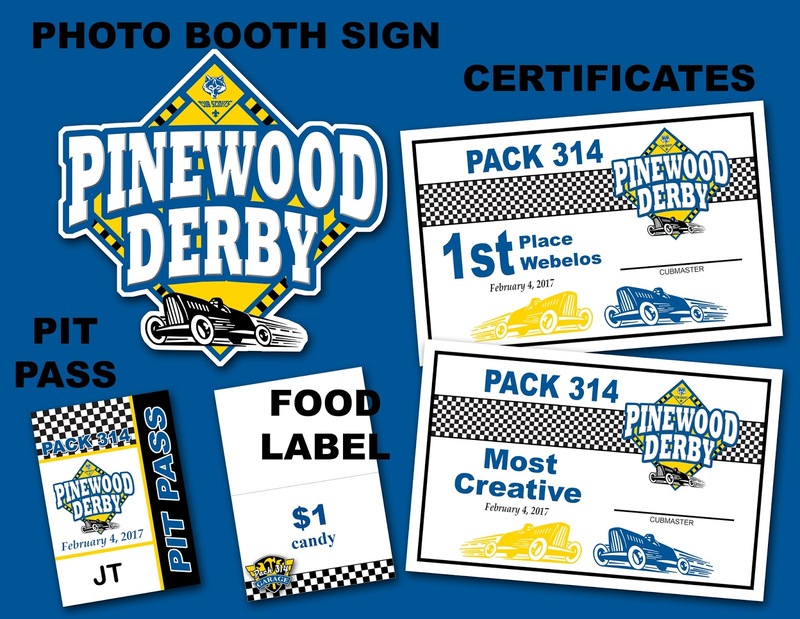 My son is a Cub Scout and one of their favorite events every year is the Pinewood Derby, so I made a few printables for their race this year including a 18x24" photobooth sign, certificates, pit pass, food labels (for their concession stand), and a banner. My favorite printables that I created were these "oil" cans that we made using oversized tin cans that we recycled from the elementary school lunches. You can see them in the picture below as they were part of our photo booth. We also found great awards on Pinterest that we made from spark plugs. 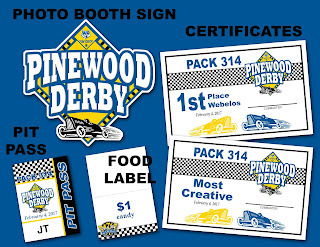 If you need a few fun printables for your pinewood derby contact Paper Perfection at jtanddolly@yahoo.com for pricing and details.